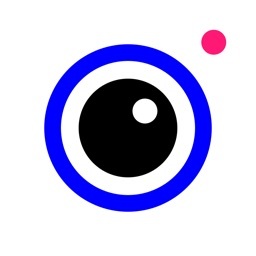 Enhance - Stock Photo Editor by Hootsuite Media Inc.
Want more likes, retweets, and comments on your social media posts? Better images are a good place to start! 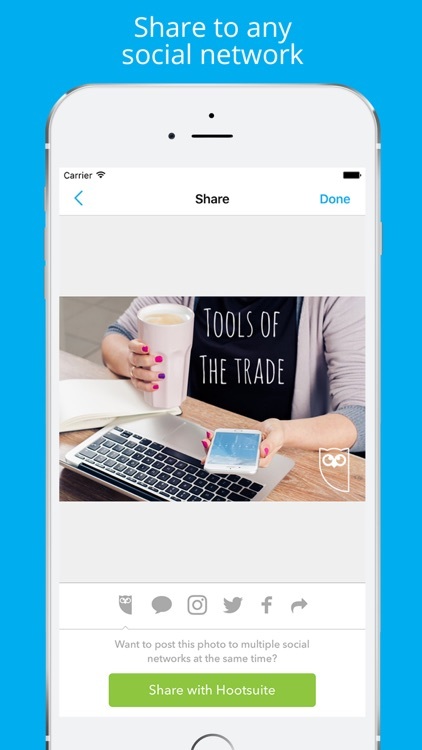 Use Hootsuite Enhance to create compelling images that are perfect for sharing across Instagram, Facebook, Twitter, LinkedIn, Pinterest, and more. 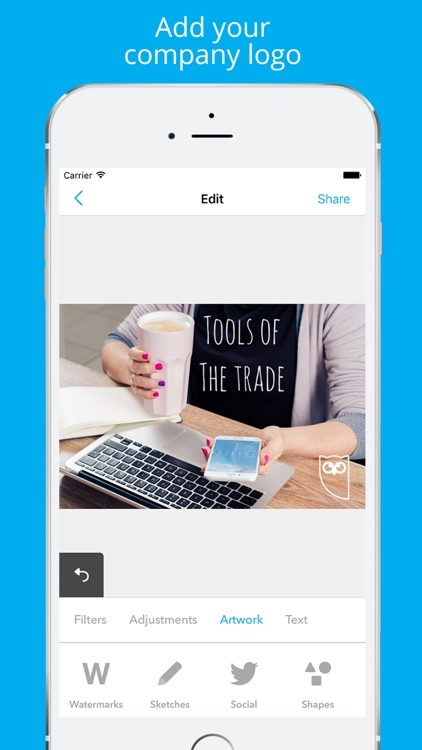 Hootsuite Enhance is a brand new way to edit your photos for social media. It’s designed to make it quick and easy to help your photos get the most attention possible. * Cropping: No two social networks are exactly the same, but Enhance will ensure your images are cropped and sized perfectly for each one. No cheat sheets needed! 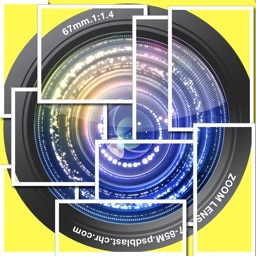 * Editing: Easily add filters, borders, stickers, text, or watermarks to your images to make them polished, on-brand, and exciting for your audience. * Searching: Not sure what to post? Need some new visuals? 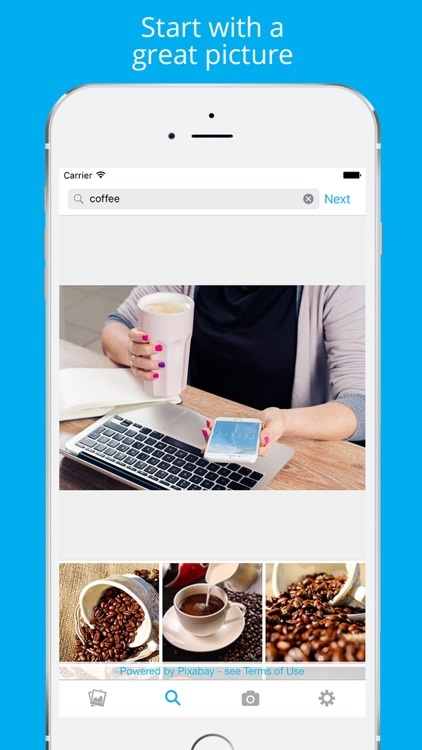 Use Enhance to quickly find stock photos you can use for your business. * Sharing: Once your image is ready to go, share it straight to the social network of your choice—including Facebook, Twitter, Instagram and more—or use Hootsuite to schedule it for later. 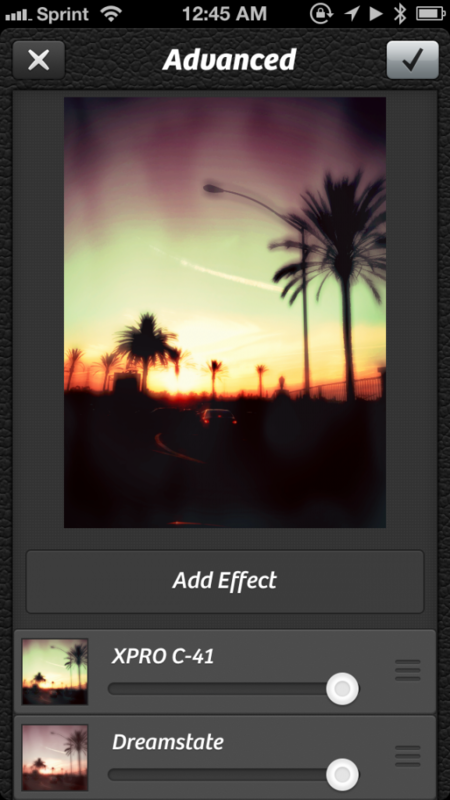 The latest update for Camera+ brings a much awaited feature, plus some flashy new filters and borders. 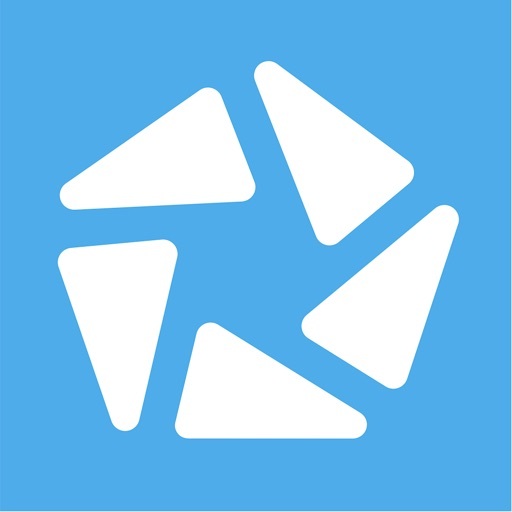 On today's AppAdvice Daily we're making party playlists and cropping our photos with just a few taps.